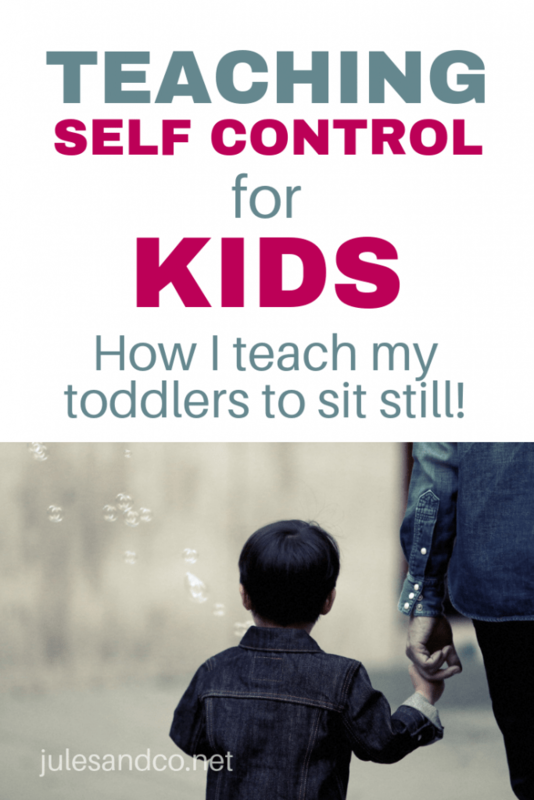 Inside: Struggling to teach self control for kids and toddlers? Every parent has been there. Steal my quick strategy to help toddlers sit still and develop impulse control. Plus get equipped with more tried-and-true ideas to teach your child the valuable art of self-control! Disclaimer: This post contains affiliate links. Of course, I only recommend products I know and love! 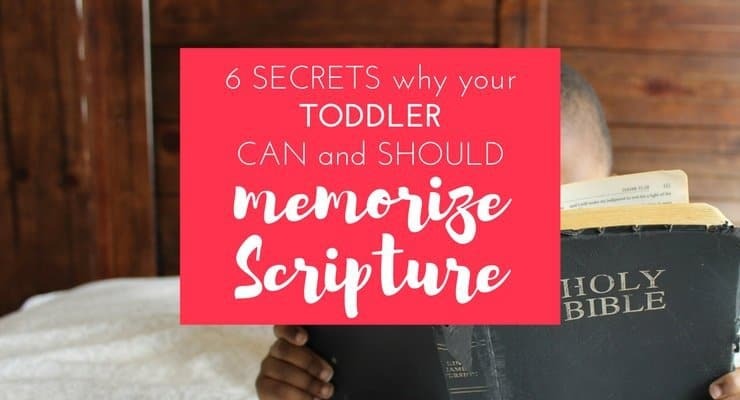 But as natural (and super cute) as these boisterous behaviors are the majority of the time, there comes a time when a toddler really must sit still and listen. Maybe you want to teach your kiddo to sit in church with the family? What about those dreaded doctor’s office waiting rooms? The challenge is in teaching toddlers to sit still screen-free. No electronics needed to distract here. We’re going all or nothing, straight to the heart of this issue. We’re teaching and modeling good old-fashioned self-control. Want to learn how we limit screen time in our home? Steal my action plan for tackling screen-time once and for all with my eBook, Unplug + Unlock! Learn more about the eBook here. So it all started in story time at our library last week. My son was a bit fidgety, but was contentedly listening to the librarian read, when all of a sudden he heard a train in the distance. That’s the moment it all fell apart. “Choo Choo train?” he exclaimed at the top of his lungs. I picked him up and stepped away from the group, quietly explaining that yes, there was a train, but no, we aren’t going to see it right now since it’s story time. We went to sit again but alas, the tide had already turned. As soon and I sat down he hopped up and started to roam the room again. Up until this point I would have considered his behavior childish irresponsibility. It’s completely appropriate for a toddler to be interested in seeing the train! But that’s when my ordinarily sweet little son, not quite two years old, looked me in the eye. He smiled, crouched down into a runners stance, gave me one last glance, and took off running. There he was in all his boyhood recklessness, while the other moms looked on in amusement. Needless to say, we left story time early. How could I ever go back to story time? Were we doomed to forgo the joys of our favorite library forever? Yikes. Not a shining moment in my parenting journey. Yes! That was the perfect word of encouragement for me. With my wits back about me and my parenting backbone firmly in place, I made a plan. I knew that it was time to become proactive instead of reactive. 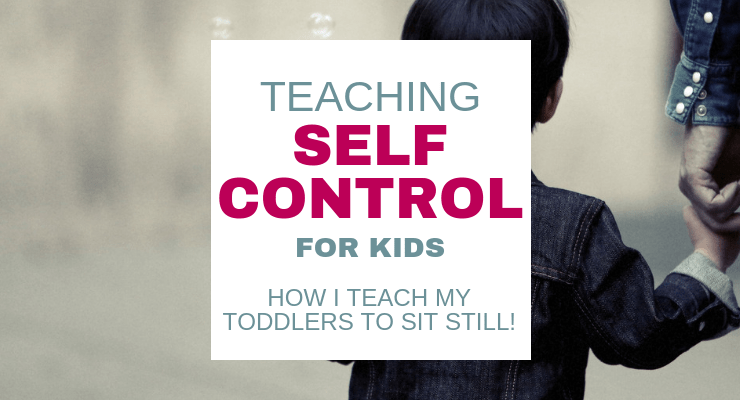 So, what’s my action plan to teach self control? My son is generally a sweet and goofy kid. I love him from top to bottom. Our problem was with a specific behavior. I needed to teach my toddler to sit still and listen: for story time, church, and beyond. It’s a skill worth having. And for a two year old boy, it’s a skill that doesn’t come naturally. It has to be taught. Intentionally. Want to learn how we handle toddler chores? Read my secrets here. I asked expert moms their best tips for toddler tantrums. Here’s what they said! Here’s what I’m doing to teach my toddler how to sit still and listen. The most important thing to remember is that we don’t have to wait for misbehavior to happen before we react. Instead, take the time to be proactive! Use those downtimes, the times when your child has a happy, receptive heart, to teach expectations and new skills like self-control. It will make a world of difference in those turbulent moments later on! Update: My little dude is now a preschooler and is totally rocking story time! We found our rhythm. His behavior, attention-span, and self-control are so much improved. I’m SO thankful that I put this plan into action when my son was a younger toddler. This skill of sitting still so valuable. We can sit and read long chapter books and actually enjoy that time together! I’ve also started using this same “pillow time” strategy with my daughter. I like to start teaching this skill around the 18 months- 2 year old stage. Having this strategy in your back pocket is a huge help for the “testing twos” stage. Then I pull out a favorite book to draw my child’s attention. I have them sit on the pillow in front of me. I usually read with my kids in my lap, but for this specific purpose I want them to learn the self-control to sit still by themselves. This is “story time” reading, not “cuddles with mama” reading. Remember, the goal is to create a culture that will help teach self-control! If they don’t follow directions, (which will happen!) I state in a calm voice, “I can’t keep reading until you sit down.” Since it’s a book he really loves, this is usually a highly persuasive tactic. Choose books that are easy to read and feature bold, bright illustrations to capture your child’s attention. A few of my childrens’ favorite books have been these train and tractor books, In the Tall Tall Grass, and anything by Sandra Boynton. When they gets fidgety, I give my child a small toy to keep in their lap while they listen. This Tangle Jr. fidget toy is absolutely perfect for the job. It’s small and discreet. A toy like this will keep little hands busy so their minds can focus! I am always surprised how quickly my kids catch on, since my son and daughter are both usually 100+ mph all day long. When you’re just starting out with this self-control strategy, use this trick. Stop reading before your child loses interest or gets super antsy. Each time you practice “pillow time” just try to lengthen the time by a few minutes. By stopping before they “lose it” you’re giving them confidence that they are capable and gradually building that self-control muscle! Step 3: Encourage and Repeat! I’ll repeat this every day until I feel like they grasp the concept. My goal is for 30 minutes of still listening time, to mimic our library story time setting as much as possible. Practice makes progress! All that I needed was to shift my parenting focus! Proactive beats reactive every time. You are equipped to do the job. If you enjoyed this post, I know you’ll love reading about how we do (super-relaxed) homeschool preschool. See how we get lots of learning done with little stress! Whatever your child’s age, I encourage you to be proactive! Take the time to teach your child valuable skills like self-control and sitting still, and you’ll reap the rewards later. Promise! 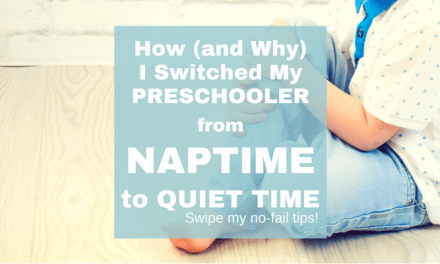 So, what if you need more than “pillow time” to teach your toddler how to be still and have self-control? There are plenty of positive ways to teach impulse control to your children! Model self-control in your own life! Walk in step with Jesus and you’ll see the fruit evident in your parenting. Read books about developing self-control. Help your child pray and ask the Holy Spirit to give him self-control. It is ultimately a gift of the Spirit! Use simple phrases to teach your child emotional regulation. Play games like Simon Says or do fun science experiments to teach impulse control and following directions. Encourage delayed gratification! Praise your child when you see him being patient or working hard for something he will receive later. Does your child need to learn the skill of sitting still? What are your favorite ways to teach self control for kids? Be a proactive parent, not a reactive one! Gradually build that self-control muscle. Stretch out the time by a few minutes each time you practice “pillow time”. Cultivate a culture of self-control in your home. 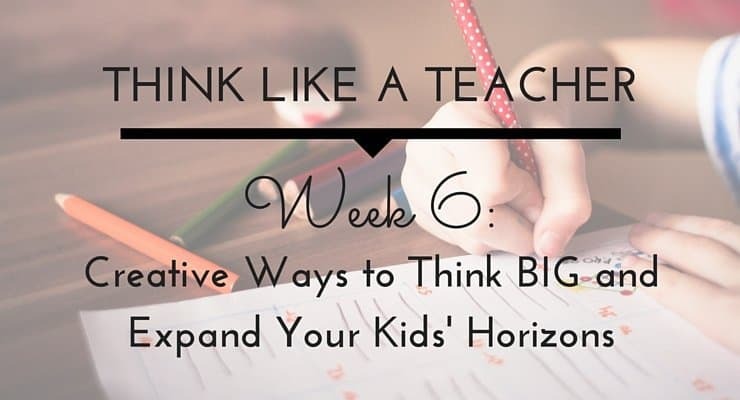 Use the strategies above to give your children a skill they’ll use their whole lives! We want to know what you think! Let’s connect in the comments below. Wow! You hit it on the target! Oh I need this! 🙂 I’ll try it with my 2 year old. Yes, it took a TON of patience on my part, but it did pay off Suzi! Good luck! Wow! What a great idea! I’d love to start that with my son, but I’m a little afraid he may be too young. He’s 19 months old. How old was your little guy when you started? Thank you so much! We’re going to start trying today! What do you recommend for my daughter who doesn’t have a favorite book? She loves to look at books, but has never enjoyed being read to. For example, she has particular animal books that, when we sit down to read them, she just wants to flip through on her own telling me the names of the animals. She doesn’t want ME to read to HER. Because of this, we look at books together, but the times that I solely read an entire book to her are few and far between. Megan, it sounds like your daughter has a big imagination, which is amazing! Tap into that with books that have images and pictures but no words. She can add her own narration to the story! Maybe make her the narrator and you can voice a particular character in the book? Great idea! And the fidget toy! Oh my, I’d never heard of those before – but sounds and looks amazing! How would you apply this to church because the pastor isn’t reading their favorite book? Ooh that’s a really great question. Honestly we are still working on this one, Jillian! We have a nursery so my son doesn’t sit that often in “big church” but when he does I’ve used flash cards where he whispers me the letter (he loves letters), a lift the flap book, or his favorite book “what do people do all day” by Richard Scarry. It has lots of tiny detailed pictures that keep him engrossed. We just stay as long as we can, then when he gets antsy go to the nursery. So I would say a book with lots of little pictures they can “read” themselves would be a good place to start! We have been working on our 17 month old sitting through church. We turn on preaching at home and have him sit still. He’s not allowed to get up and we try to keep him as quiet as possible. It gets a little better each day. He’s actually a very smart kid and catches on quickly (the only reason we started so early with this). He’s able to sit for half an hour to 45 minutes after about a month and a half. That’s a genius idea Marie! I imagine the secret is training with audio only like preaching, instead of with visual aids like books. Trying this!! I really have to try this!!! I love this! Straight forward, to the point, effective, and humourous. You made me laugh out loud. Ha nope. Tried this. My kid sits for like half a book and will only sit in my lap. At story time they read so slowly it doesn’t keep his attention. At home he sits in my lap then gets up halfway through a book and screams when I try to redirect him. Like. Throws his body on the ground flailing his limbs screaming no. But how nice that it works for you. Clearly your child isn’t as active as you think he is. Sounds like a normal toddler to me. My son, not so much. Hey Ashley! I would encourage you to keep trying! Have you tried a fidget toy for him to hold. I know a lot of kids just need to MOVE and keeping their hands busy can help (with a lot of practice and patience) keep the rest of their body more still. Also, and this may be me sticking my nose where it doesn’t belong… I truly believe that God gives our kids the right mama for them. You have everything you need to be intentional, kind, and provide appropriate boundaries for your son. Yes you do! If you would like to chat more, please, please email me. I would love to walk beside you during this crazy-hard toddler stage of parenting! I know this is an old thread but I found myself googling “will my baby ever sit still again” and “how to teach toddler to sit still” after play dates with other kids who are able to sit and eat a snack or listen to a story…my daughter is only 13 months old so I obviously have a long way to go but I can tell you she is an ACTIVE one. I am so proud of her but I do find myself getting discouraged when I see other babies and toddlers with much calmer personalities. I am going to try this (on a minor scale since she is so young) and hope for the best. I think it is an important skill for her to have!